HP has launched the Sprocket Plus, successor to the last year’s Sprocket smartphone printer, which produces 30% larger pictures. The Sprocket Plus renders images into a 2.3-inch x 3.4-inch ZINK paper. It will be available in Black and Red color options. The Sprocket Plus is also the thinnest portable printer in the world making it really hand and easy to use. Like the first Sprocket, the Sprocket Plus needs its Android or iOS-based companion app through which users can make their special moments permanent. With the Sprocket App, users can print pictures directly from their social profiles along with those on their smartphone as well. HP has also added a slew of filters, stickers and emojis in the app for users to customize their pictures if required. In addition to this, the Sprocket App has a new feature called Embedded Experience which uses Augmented Reality. Now what the Embedded Experience does is to print a picture with an unnoticeable watermark. When the same picture is viewed through the Sprocket App, it reveals certain information about the picture- objects, people or places. The new Sprocket Plus prints pictures sized 2.3-inch x 3.4-inch, a bump up from the first Sprocket printer which produces 2-inch x 3-inch photographs. The Sprocket printers use a thermal head which heats up the ZINK photo paper that is coated with a layer of dye crystals to print the image. The pictures printed from HP Sprocket Plus are resistant to water and smudges along with being tear-resistant. 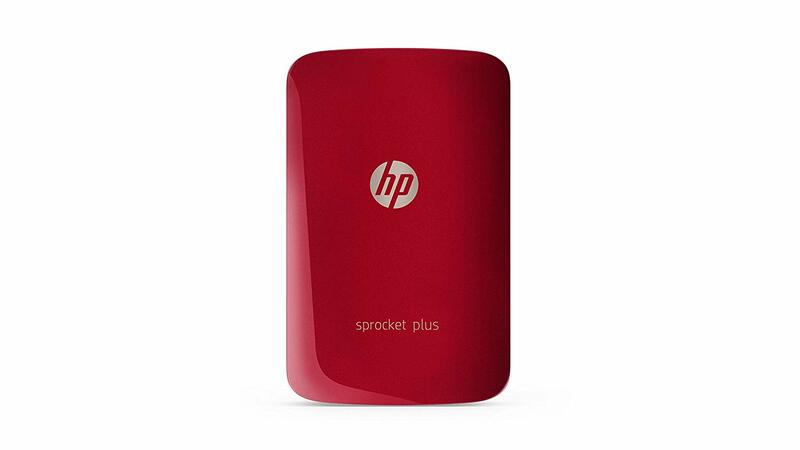 The HP Sprocket Plus is available in India in black and red color options. It is priced at Rs 8,999 and comes with a pack of 10 HP ZINK photo paper. Additionally, users can buy a pack of 20 ZINK paper for Rs 799. HP Sprocket Plus is available exclusively on Amazon India.